You need to make sure that your pet’s habitat is set up properly, so it will feel safe and settle in its new home quickly. 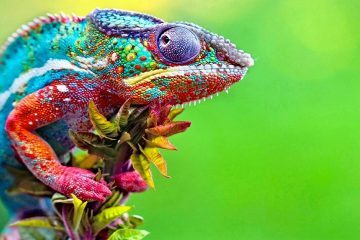 While chameleons may not be easy to keep, you can meet it needs by providing certain things in its environment. The tank should have sufficient lighting, basking spot, misting system, branches, vines and plants and proper drainage. If you want to make everything easier, you can go for automatic systems. For instance, you can connect the lights to a timer so that the chameleon receives stable light throughout the day. There are also automated misting systems that are equipped with timers. You can set a timer for the water supply. By using timers, you can leave for the weekend and still provide what your pet needs. 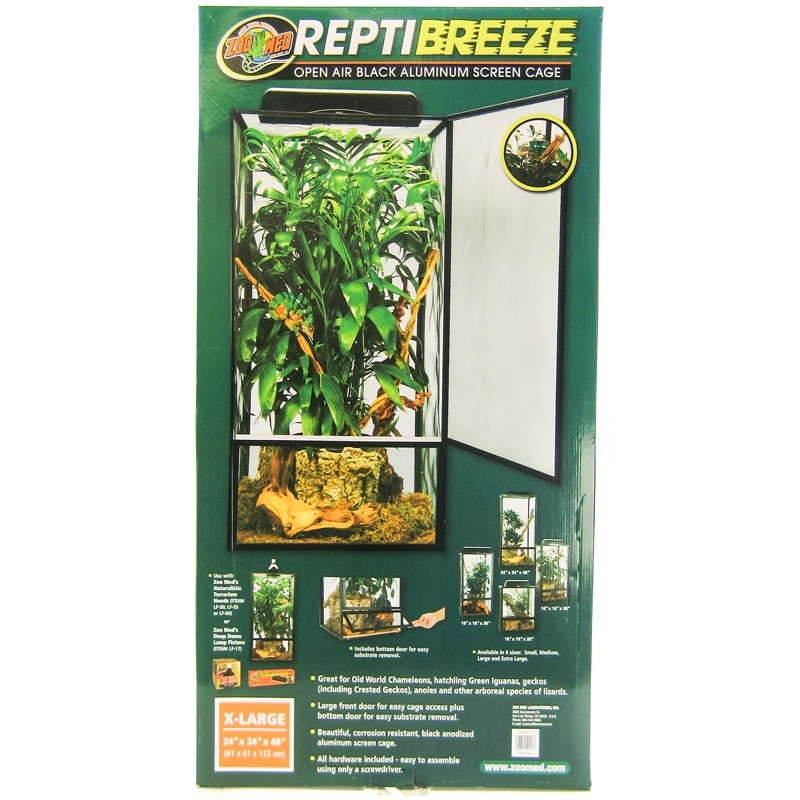 The Zoo Med Reptibreeze Open Air Screen Cage measures 24″ x 24″ x 48″ and weighs 9.7 lbs. The open air screen cage is made of black anodized aluminum, so it is resistant to rust and corrosion. 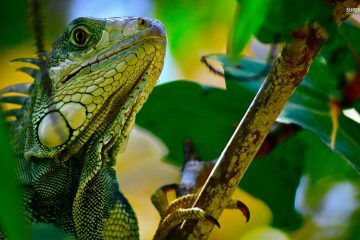 It is perfect for juvenile green iguanas, Old World Chameleon species as well as arboreal lizard species like geckos. The cage is very easy to access thanks to its large front door. It also has a bottom door that allows for easy removal of substrate. With this, you don’t need to worry about cleaning or maintaining the cage. 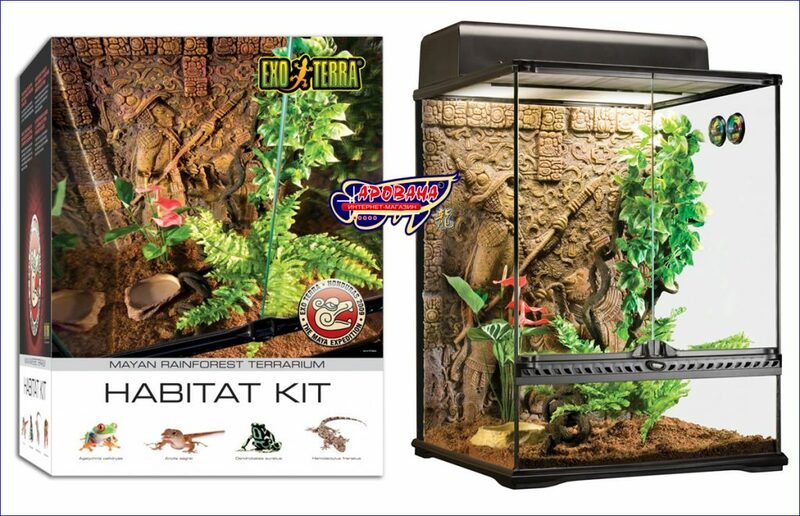 Measuring 24″ x 18″ x 12″, the Exo Terra Allglass Terrarium is an ideal housing for amphibians or reptiles. The glass terrarium was designed to have an elevated bottom frame to fit a substrate heater. 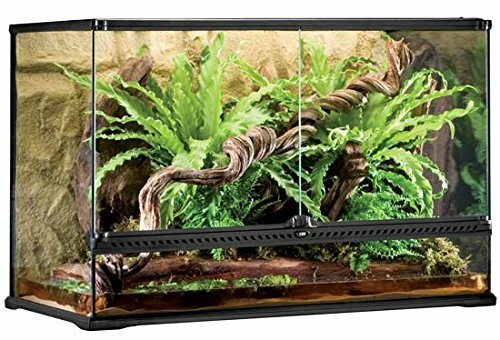 The bottom panel is waterproof and the dual doors lock is escape-proof, so there’s no need to worry about pets or children opening the terrarium and letting your pet escape. The front opening doors allow you to access and clean the terrarium with ease. You can also open the doors separately. The Exo Terra Allglass Terrarium’s full screen removable top ventilation ensures infrared and UVB penetration. The screen top is secured to the terrarium frame with heavy-duty locks at the sides. The terrarium also has 5 closable inlets for tubing or wire management. You can install sensors, waterfalls or heat wave rocks inside the terrarium. The extra high front window is perfect for aquatic parts and thick substrate layers. The color of the natural background is the same as other Exo Terra decoration items, providing an extra climbing dimension. 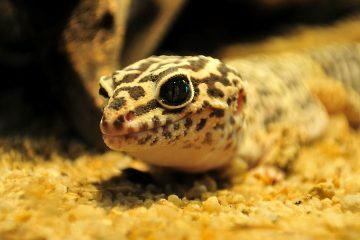 Since the terrarium is deeper than aquarium-type tanks, it provides more ground surface to your pet. 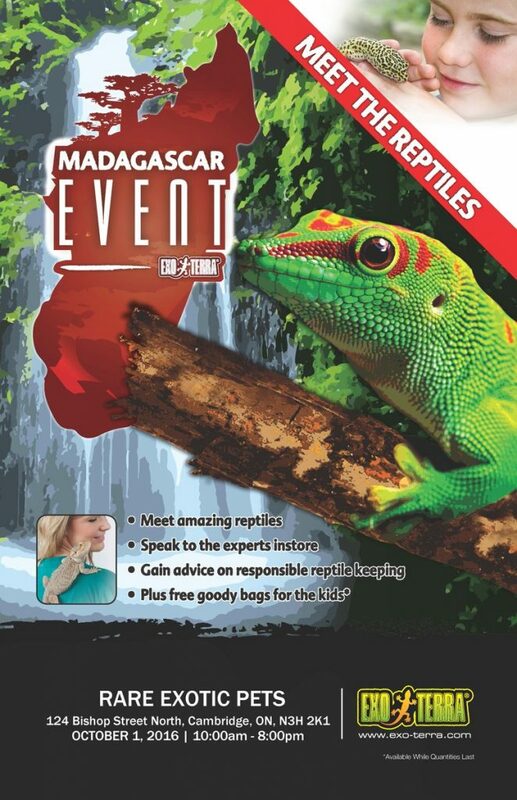 This provides the space required for ground and desert dwelling amphibians and reptiles to survive. The Exo Terra Glass Terrarium Mayan measures 18″ x 18″ x 24″ and weighs 48.9 lbs. It is equipped with dual doors for easy access to the terrarium. You can add more layers of substrate thanks to the extra high front lower panel. The screen cover lock prevents escape and the terrarium’s bottom glass panel is raised to let you mount a heat cable or substrate heater. The bottom panel is also well ventilated to provide your pet with optimal cold and hot spots. 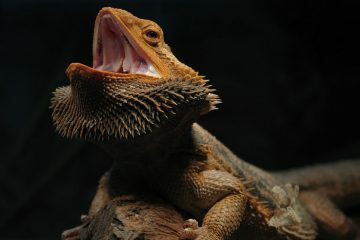 You need to take good care of your pet and this includes providing it with the right habitat. The chameleon tanks listed above are only some of the options you have. Consider the needs of your pet, your space at home and your budget when purchasing one. This way, you can buy the right chameleon tank.